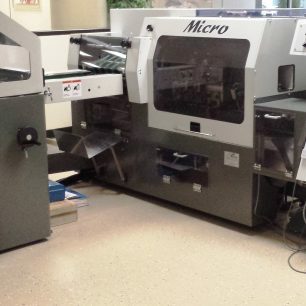 Contact us for more information on this Osako Micro Automated (6) Pocket Saddle Stitcher with Cover Feeder, by clicking the blue “Get More Info” button to the right. Or, view all details in our Osako Brochure Below. Photo is of a stock machine, actual photos coming soon!